SAVE 10% ON YOUR LOOSE UNSEASONED FIREWOOD UNTIL END OF MAY! 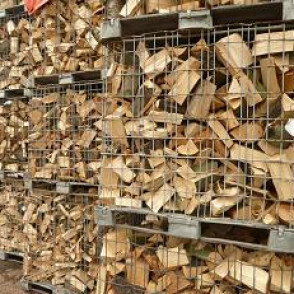 Quality, sustainably-sourced Eco Softwood Firewood sold loose or netted. Unseasoned, needs stacking in a covered shed before use. This firewood is made from a mix of high quality softwood & hardwoods (mainly poplar & willow). It is freshly processed (unseasoned), and will need stacking (indoors or in a log shed) for a few weeks/months, depending on the season, before it will be ready for you to use. Perfect to buy in the summer for you to store ready for the winter! This firewood is great value and an “extra-eco” alternative since it saves this material from being chipped. A cube of this firewood includes stackable logs as well as smaller pieces, making separate purchase of kindling unnecessary.